One of these days I’m going to put together a sort of “Road Warrior Olympics,” in which contestants compete on how well they can conduct business while riding in an Uber, going through security at the airport, and even in the midst of the plane’s takeoff and landing. That’s how impressed I am with the multitasking skills of the thought leader healthcare executives I regularly interview for various writing projects. I probably have more interviews with people driving to the airport than I do while they’re in an actual office building. Just last week, I interviewed the CEO of an operating room analytics company while his Uber driver took him to Heathrow. Just as he was arriving at the airport, he discovered his flight was actually leaving from a different airport. He was only momentarily at a loss for words—then crisply told me he’d call me right back. Expecting it to be more like a day, I wished him good luck getting on his flight. Five minutes later, my phone rang. The CEO was back on track to the right airport and we picked up where we’d left off. These are the dream accounts—the ones where thought leaders are actually available to share their thoughts with the writer who will create a byline or case study that’s hopefully as compelling as the way the thought leader made his or her points. I cannot overstate the importance of having access to these people. Yes, a preliminary brief on the topic is a good starting point. But in my experience, when information is transmitted through multiple middlepersons, the thought leader inevitably reads what was written and either deems it way off track or missing key points. At this point in my career, I probably can do this more or less effectively. But something will be missing: the thought leader’s voice and latest insights. The information that a skilled interviewer—which PR agency writers must be, and that’s non-negotiable—knows how to draw out of even the most reticent interviewee. Also, you are presumably paying good money for the services of a professional writer. Why not get all the value you can from your investment? Blocking the writer from an interview that would likely result in a much better byline, simply for the sake of convenience and speed, is like filling up on all the cheap starches at buffet instead of selecting the more delectable treats. You mean that language that’s staler than a loaf of bread with a missing zip tie that’s been sitting on a kitchen counter for over a week? This is marketing messaging suicide. Just like other departments in the business, marketing must be able to move nimbly. If it really takes that long to get projects approved, you must fight for a more streamlined process. Or else your marketing department will become known as the graveyard for ideas. Can we write a byline based on these three or four existing pieces? That way we won’t have to interview anyone.” This is similar to the above scenario. And sure, I can do it, but again—you’re wasting the resources of a professional writer by basically having them do assembly line work. You could hire an el cheapo content mill writer instead if all you really need is to put a donkey’s tail on a fish’s head. Now some thought leaders themselves are the cause of the block. Perhaps they are under the impression they are too busy or are just too inexperienced at being a thought leader. They may not be the right thought leaders for you to develop. But sometimes it just takes an interesting interview and byline to get these promising thought leaders on board. Some tips for finding their thought leadership mojo can be found here and here. Another benefit for these newbies is that interviewing with a writer is great practice for subsequent interviews with the media. An advance idea of questions if possible. This gives the thought leader time to process and give thought to what will be under discussion. Of course, the conversation doesn’t have to stick exactly to these questions. But the thought leader should go into the conversation with more than just a broad idea about what will be discussed. Openness to giving and receiving feedback. This is your byline. Let the writer know if that isn’t your voice or if points are incorrect or missing or need further clarification. But resist the urge to “just write it yourself.” That’s like hiring a chef to cook you a meal and then going in and adjusting the seasoning yourself. Tell them what you want. If they are a professional, they can do it. In my experience, fewer drafts result when reviewers contain their edits to comments in the margins. To recap: a good writer is a budding thought leader’s best asset. Rather than keep them apart, foster this relationship to the fullest extent you can. Soon your thought leader will leap from “budding” to “champion”—and not just of the Road Warrior Olympics. With Thanksgiving around the corner, it got me thinking…one day simply isn’t enough to contemplate all there is to be grateful for. Especially when adding our professional blessings to the mix, like the partners, colleagues and employees who contribute to our success. So let’s give thanks for more than just one day and create an ongoing thankfulness program as we plan our 2018 marketing and public relations initiatives. Giving thanks and showing gratitude is an obvious yet often overlooked gesture in our fast-paced work day. Too often, we just shoot a quick text or email (if that) and check it off the “to- do” list. Remember the days when we actually went to the Hallmark store and bought a card and wrote a personal note? I had one team member who actually took the time to write me a four-page thank you note recently. WOW! It truly meant the world to me and is something I won’t forget anytime soon. Now imagine if we all took the time to regularly give those who impact our professional success that same “wow” factor. If sincere, it can have a tremendous impact on performance, sales and overall happiness. Let me give you another example. Last month, we celebrated our 14th Anniversary at Amendola. We commemorated the milestone with a companywide retreat, bringing together all 20+ employees to collaborate, brainstorm and unwind for a couple of days. We spent so much time and money planning activities, entertainment, meals, hikes, etc. but at the end of the event, what was the activity that had the most positive feedback? The awards ceremony! This fun event gave me the opportunity to demonstrate my gratitude to each member by sharing stories, memories and anecdotes about how each team member is a unique and valuable asset to the organization. As the crowning touch, I presented each team member with a certificate that included their own unique designation. For the veteran PR account director who I know won’t rest until she gets her client a coveted media placement or top tier speaking engagement, I presented with the “Commitment to Excellence” certificate. For the young millennial social media manager who lives, sleeps and breathes new ways to create huge online followings for our clients, I presented with the “Rising Star” certificate. And for the tireless media relations wiz that regularly gets PR mentions in publications that for others are impossible to crack, I presented with the “Winning Streak” certificate. And so on for every Amendola team member. I wanted them all to know that they are appreciated and that their efforts don’t go unnoticed. Our tremendous growth and success would not be possible without each one. You will need deep pockets for public relations, social media, content marketing and marketing communications activities (hint, hint!) to stand above the crowd in 2018. But don’t forget about your most important assets: your team, clients and partners. As you plan for the holiday season and into the trade show blitz, I urge you to put aside some time and some budget for personal notes/direct mail, emails and blog posts giving thanks and gratitude to your internal and external clients. Of course, you may want to implement an awards program, too, or donate money in your clients’ or team’s honor. Whatever approach you take, just remember that a personal thank you goes a long way and will be remembered with appreciation. Happy Thanksgiving, and a special thank you for all who have helped me and supported both me and Amendola Communications along the way! I am so grateful for my team, clients, prospects, media, analysts, and of course, my family. Once upon a time there was a very strong woodcutter. He asked for a job from a timber merchant and he got it. The pay was very good and so were the work conditions and for that reason the woodcutter was determined to do his very best. His boss gave him an axe and showed him the area in the forest where he was to work. The first day the woodcutter cut down 18 trees. His boss was extremely impressed and said, “Well done. Keep it up. You are our best woodcutter yet.” Motivated by his boss’s words, the woodcutter tried even harder the next day, but he only cut down 15 trees. The third day he tried even harder but only cut down 10 trees. Day after day the woodcutter cut down fewer and fewer trees. His boss came to him and told him that if he did not chop down more trees each day he would lose his job. The woodcutter needed the job, so he tried harder and harder. He worked during his lunch breaks and tea breaks, but still he could not cut down enough trees. “I must be losing my strength” the wood-cutter thought to himself. He worked over-time, but still it was not enough. Eventually his boss came to him and told him he was fired. The woodcutter was really upset, but he knew that he had worked as hard as he could and just did not have enough time to chop more trees. He sadly handed his axe back. 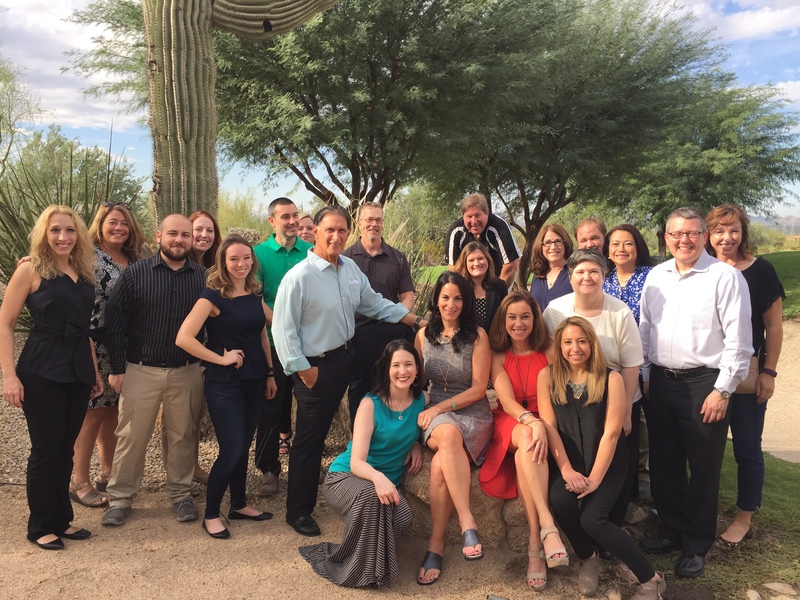 Recently the Amendola team took a two-day time-out to sharpen our collective axes. Rather than “cutting down trees” – which in our world equates to creating PR and marketing campaigns, writing industry bylines, and making a buzz on social media – Amendola’s 20+ employees came together, pulled out our sharpeners, and discussed ways to achieve greater excellence in our work. A good portion of our agenda focused on best practices, including prepping for a successful HIMSS18, optimizing media relations activities, and deploying innovative PR campaigns. In addition to spending a bit of time discussing operational issues – because we recognize there’s always room for improvement when it comes to communications and collaboration – we also enjoyed a fun mix of networking activities that helped us get to know one another better. No one left the retreat without learning something new, either about PR in general, or about Amendola’s wide variety of services, or about members of the Amendola team. It’s impossible to share all the details, but here are a few of my picks for “Best of the Retreat” moments. Press release SEO optimization – A representative from Cision provided us with some great tips for optimizing SEO within client press releases. Everyone on the Amendola team is now better informed about Google’s recommendations for the number of links in a release; the optimal length for a headline; how domain authority is calculated; and, the best location for the call to action. If you’re curious about any of these best practices, ask your A-Team representative! Non-healthcare/health IT examples – It’s a big PR world out there – which is why we looked outside the healthcare/health IT realm to identify innovative strategies that could be successfully modified for our clients. We had some fun thinking about ways we could hijack the buzz around HIMSS to benefit our clients – similar to what Volvo did during the 2015 Super Bowl. Marketing services – This includes everything from branding and design, creating collateral, developing messaging, managing trade show participation, and developing every aspect of websites. Social media – While I realized we managed social media for many Amendola clients, I didn’t realize the breadth of available options. Some of our enhanced services include managing Twitter chats, providing social media training for executives, and live event-tweeting and engaging. Digital media – Health IT organizations need solid online marketing strategies and Amendola has experts available to help. I realized that we create great content for clients in terms of whitepapers, case studies, blog posts, etc., but was not aware of the number of additional services we provide, such as creating basic buyer personas, developing content marketing strategies and content calendars, and producing videos. Amplification – Amendola doesn’t just help clients amplify their messages through traditional social media channels. We also help to create and manage paid advertising programs, including campaigns that leverage search, display, and social advertising. And more – In fact, much more: Amendola can help clients evaluate and enhance their search engine rankings and manage their inbound marketing programs, email automation, and CRM programs. What I’ve learned is that if it is PR or marketing related, it’s worth asking if we do it! Amendola’s biggest asset is its people! About half the staff are like me and work remotely. Even after working at the firm for two years I had only met about half the team in person, including a few I work with almost daily. We enjoyed connecting with one another on a more personal level and having the time to discuss more than just work topics. We had a couple of fun dinners and a few of us early-birds even took a sunrise hike. Jodi Amendola knows how to hire good people. Everyone is smart, well-spoken, and brings something valuable to the table. We’re a diverse bunch. Some have had long tenures working for PR agencies, but others previously worked for healthcare providers, healthcare IT firms, and media. With such varied backgrounds, we can always find an internal expert who can offer additional guidance or a second opinion. When we aren’t working, we stay busy with our families and enjoying hobbies such as traveling, exercising, performing in bands, coaching softball, camping, and golfing. Everyone on the Amendola team now has a sharper axe to wield – and is committed to being a highly productive woodcutter on behalf of clients. I fear those poor trees don’t stand a chance. What was this paradigm-shifting solution and what was the visionary company behind it? All of them. All 1,323 exhibitors at the conference. OK, maybe a few expressed a bit more modesty. But with varying degrees of word choice and hyperbolic intensity, most used this highly subjective template to describe their solutions. Their baby is the most beautiful in the world—just accept it. But words that once felt so tantalizing and full of possibility have become eye-glazing clichés. 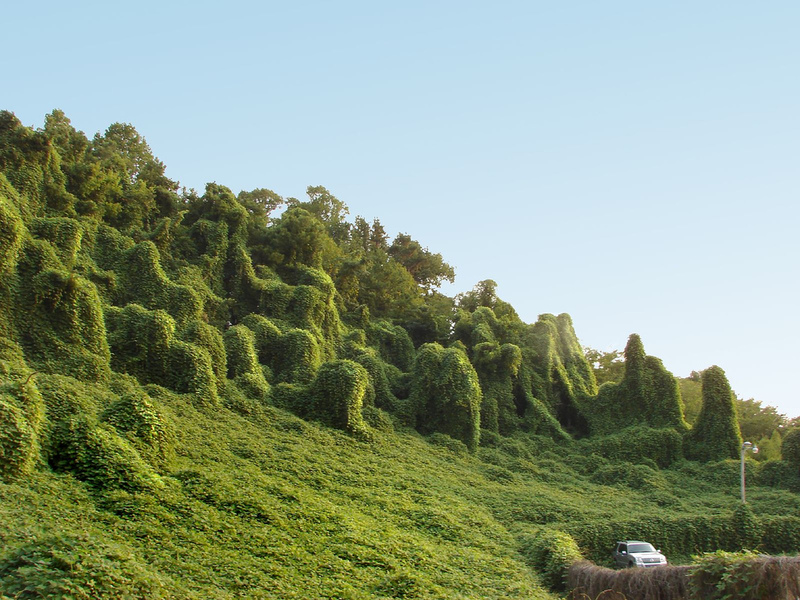 Worse, they are beginning to subsume good storytelling, like a lush and varied landscape overrun by kudzu. We’re being “disruptive’ over here! We live in an age of multi-media communication. We can slice-and-dice any demographic, curate content a million different ways, and measure it all more precisely than ever before. But somewhere along the way, many of us have forgotten how to tell a story—and tell it well. Healthcare is full of terrific—and, yes, innovative—solutions. However, the signal you believe you are projecting into the marketplace with slick marketing and flashy buzzwords is just another forgettable layer of noise. Old-fashioned storytelling, on the other hand, is a method that more readily sticks in the minds of editors—and customers. The journalism profession is shrinking and de-centralizing. The newspapers and magazines that aren’t shuttering are dramatically reducing staff and tightening the purse strings. Healthcare journalism is no exception. Here’s an example. The HIMSS Annual Conference is the largest health IT tradeshow in North America. For many healthcare professionals, this show sets the agenda for the rest of the year. In 2015, 126 editors registered for the Conference—one for every 10 exhibitors. In 2017, only 76 editors registered—one for every 17 exhibitors. And a number of those “editors” were actually in sales, seeking ad and sponsorship dollars. Plus, these editors aren’t just roaming the Exhibit Hall. They’re also interviewing keynote speakers, attending education sessions, hosting their own meetings—and trying to jam it all into four days. 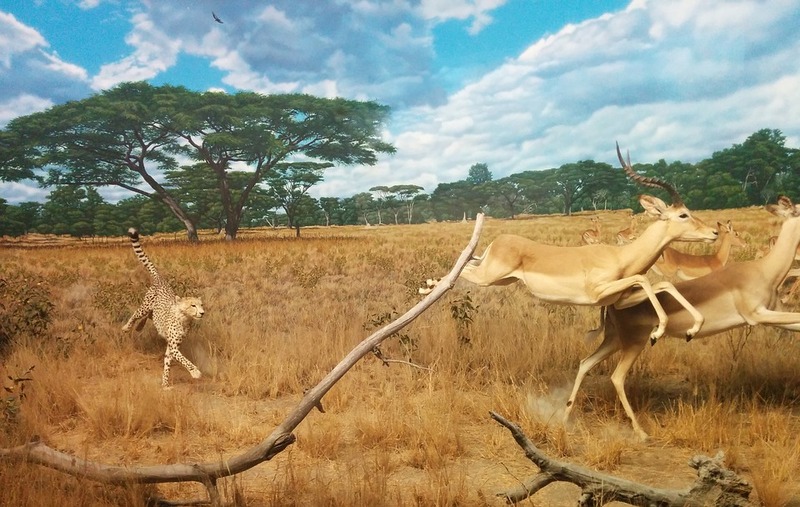 Think of it this way: Your healthcare company is one of 1,300 lions chasing—at best—60 gazelles. A lot of you are going to go hungry. This is not to say that your solution is not revolutionary. It’s probably great! Terrific—but guess what? Everyone else is saying the exact same thing about their solutions. Trust me, as a former healthcare reporter and editor, buzzwords were pure white noise. If you want to bag earned media in a shrinking media landscape, you need to up your game. You need to tell me a story. It would be easy enough to blast out yet another listicle of stuff you need to tell a good story. Here are 344 million of them via Google. I would rather tell you how much I hated science as a kid. A teacher in a too-short clip-on tie would blandly recite an endless list of equations, scientific jargon and theories until the bell rang for recess. I was temporarily free from the deadly boring grasp of arcane measurements cooked up by a bunch of Europeans who have been dead for 500 years. None of what I was taught was wrong. It just didn’t mean anything to me. Around that time, PBS aired Cosmos: A Personal Voyage. It was written and narrated by Carl Sagan, the famous science popularizer. Sagan discussed all the same equations and theories and dead scientists as my teacher did. Some of it I understood, some of it I didn’t. But the difference was how all those facts connected to tell a 14-billion-year-old story. I was able to understand how all those discoveries impacted the world I lived in. Suddenly, the universe wasn’t a C+ on a future pop quiz. It was impossibly big and beautiful, brimming with weird worlds and strange physics. It was vast and violent and without mercy. And I was a part of it! I don’t remember the name of my science teacher, but I remember Carl Sagan and the story he told in Cosmos. Be this guy… turtleneck optional. All those capabilities and features of your healthcare solution—what deeper story do they tell? How do they impact the lives of the people who will use them? How does it add to the larger healthcare stories being told today? It’s not enough to say you’re innovative. People don’t connect to “innovative.” They connect to stories. Your story might be big. It might be small. But if it’s meaningful, if it connects, it will find an audience. Tell a great story—and your solution will rise above the noise. You’ve Developed the Next Greatest HIT Tool. Now What? In most industries, and especially with technology, continuously innovating is a requirement for maintaining and expanding market share. Releasing new products and features requires several months of strategy and development, the completion of which is met with great fanfare within the company. Now, you need to share this advancement and sell it to customers. In a world that is always looking to the next greatest thing – from iPhones and the latest Star Wars installment to artificial intelligence – how do you stand apart? Here are some points to hit so your new product/significant upgrade receives the appropriate attention. Know the level of your announcement: Put yourself outside of the company for a moment. Is this an enhancement or tool that will matter to current or potential customers? Sometimes, companies are tempted to announce tools that may have required a fair amount of development work but are not significant to their general audience. Refrain from issuing a press release with all of the bells and whistles unless it is a new product or a significant upgrade, such as version 2.0. Targeted e-mail outreach may be a better medium for reaching your desired audience if only a subset of customers will find it pertinent. Focus on the benefits: The tendency for many is to talk about features and discuss innovation for innovation’s sake. Don’t fall into this trap. At the end of the day, the goal is for people to use your new widget. Think about the benefits this solution brings to current and potential customers, and focus on those. If you have an idea of how much efficiency will be realized or money will be saved, consider creating an infographic that will visually demonstrate these advantages. Include quotes: The customer is always king, or queen, and there is no exception with new product announcements. As much as people want to be on the cutting-edge, the minds of potential buyers are put to ease knowing that someone has been there first. It also shows that a peer views this as a good idea. Another way to show market demand is through a quote from an industry analyst. Show market demand: This can be accomplished through a quote from an industry analyst or through survey results. It is great to point to a survey that finds 90% of people struggle with a problem and then announce you have the solution. Show that you are listening to the market and addressing its concerns. Ensure spokespeople will be available: The press release is out and members of the media want to write about it. Make sure the people quoted in the press release, or a close approximate, are available for interviews in the days following the announcement. Educate internal teams: It is easy to get tunnel vision with the launch of a solution and forget to involve additional teams that may be impacted by this announcement. Have sales and support been brought up to speed? If someone calls about the new product just announced, will they know how to answer basic questions? Many companies have been guilty of missing this step, at one time or another, although it is important. If this is a significant release, or one that differs from your core business, consider developing an FAQ that internal teams can reference to learn more. A product launch is an exciting event with many moving parts. With the proper planning and coordination, it can be executed seamlessly and show your company as the experienced innovator it is.